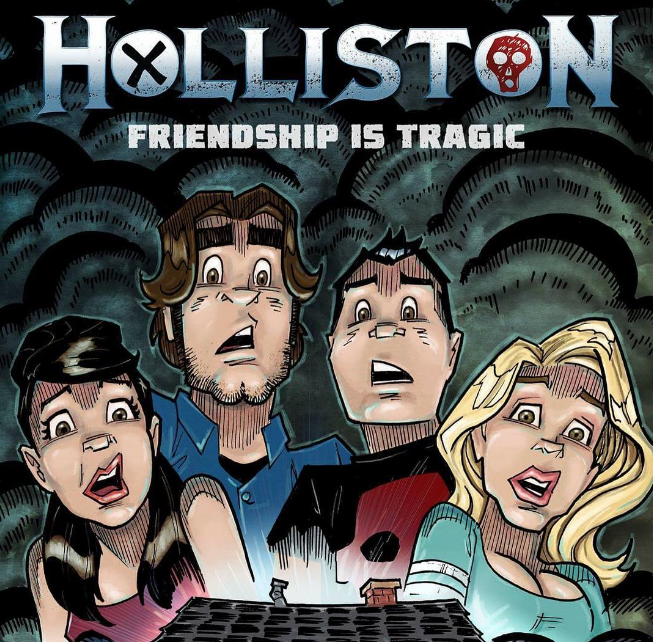 Fans of the hit horror show Holliston by Adam Green can now PRE-ORDER the new 52-page graphic novel based on the show, “Holliston: Friendship is Tragic“, which comes out October 26th, 2016. We caught up with talented artist Stephen Sharar, who provided the pencils and inks for the highly anticipated comic adaptation, to talk more about this exciting project. Read our interview with Stephen below. Hello, Stephen! It’s a pleasure speaking with you. Could you start by telling me a little about yourself and your professional background? I’ve been an artist for as long as I could hold a pencil. While other kids were outside playing, I was inside drawing panels and covers from my favorite comic books. I always wanted to work in comics professionally but never really knew how to break into the industry. My interest in comics led me to working part time in my local comic book store, Coy’s Comics, and eventually I would take over ownership of the shop. 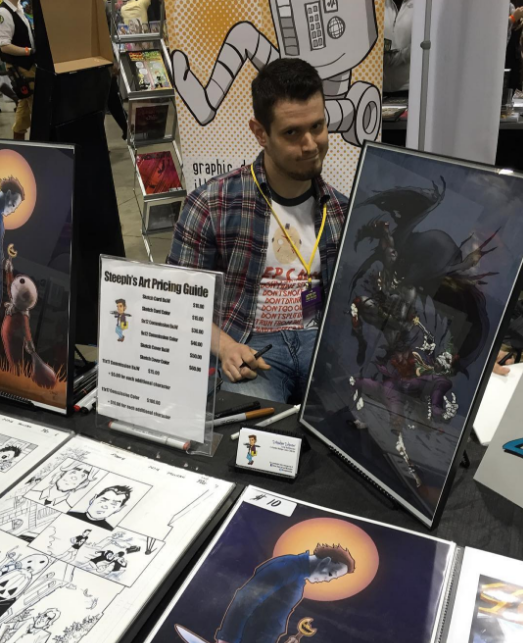 That led to meeting Travis McIntire, who was another local aspiring comic creator. 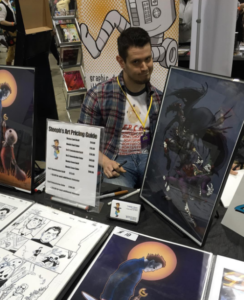 We both were interested in working on something together.. and that led to us creating the Michigan Comics Collective (MCC), a Michigan based non profit publisher focused on bringing aspiring creators from Michigan together and giving them a venue for showcasing their stories and artwork. I also took over artistic duties on Travis’ title, “Up the River“, which is now published through Source Point Press. Our first publications through the MCC were the Michigan Comics Collective Anthology, which I contributed the artwork on two stories, “Rise” (written by Josh Sobek) and “Toots Malloy: Blues Ninja” (written by Pat Cline). My second contribution to the MCC was artwork on “Wild Bullets”, written by “Holliston: Friendship is Tragic” writer Greg Wright. 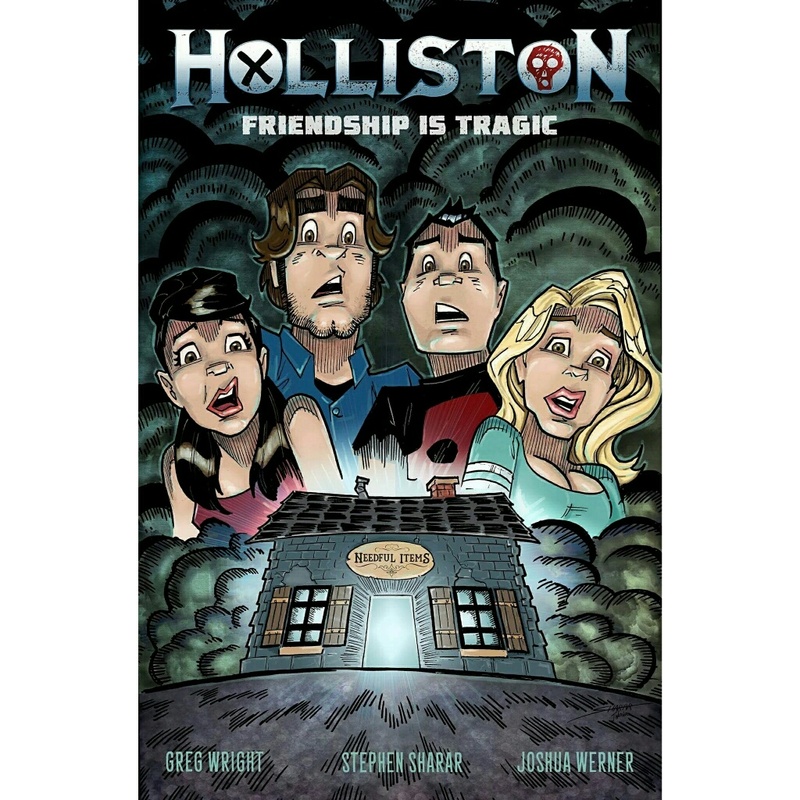 Can you tell me about the origin of “Holliston: Friendship is Tragic” and how you came to be attached to the project? I’ve always been a huge fan of horror movies, and a big fan of Adam Green’s work. So when Travis asked me for suggestions on some creators that we could reach out to for collaborations, Adam Green immediately came to mind. He has such a diverse library of horror properties that would translate very well into comic book form. So from there, Travis contacted Adam and was given the ok to send some story pitches and sample artwork for review. From about 10 different story pitches, Adam absolutely loved the pitch for “Friendship is Tragic” and gave the ok to start working on it. What has it been like to have the opportunity to be a part of bringing the series to the world of comic books? I was a big fan of Adam’s work prior to this project becoming reality, although oddly enough, Holliston was one of the last things of Adam’s that I watched. A friend introduced me, and after the first episode I was hooked. It’s very surreal being able to work on something that not even a year prior to, was simply a tv show that I was a fan of. I never thought I would be drawing the first ever Holliston comic book. From your experiences promoting the comic at conventions, what has been the fan reaction so far? And has anything surprised you about the reaction or the rabid fan base for Holliston? The reactions of the fans has been extremely uplifting. From the announcement of the book, fans have been showing their excitement and loyalty to the series. They can’t wait to get the book in their hands, and I have no doubt that they will be very happy with it. It’s really no surprise at all that Holliston and Adam have so many fans out there that are chomping at the bit for new content of the series and anything that is related to Adam and Ariescope in general. Adam states on his site that he’s been heavily involved in this project, overseeing and approving it every step of the way. What has his reaction been to seeing something he created and is very passionate about adapted to another medium? I haven’t personally spoken to Adam yet, although I’m hoping we get to have a sit down with them and talk about the book as it gets closer to it’s release. But Adam and the entire cast of the show have been extremely helpful in getting the word out about the book and making sure the fans know about it. From articles, to posting on Facebook and tweeting about it, the cast has been extremely amazing. And Adam and the cast were super stoked to see the first promo image and the character designs for the book. I think they were geeking out a little to see themselves in comic book form. Do you envision there might be future Holliston comic books down the road? Or perhaps additional comic interpretations of other Adam Green properties (Hatchet, please!)? Myself and Source Point Press are hoping that, if the one shot does well, it will lead to more collaborations with Adam and Ariescope. I would personally love to draw an ongoing Holliston series, or perhaps a Hatchet book. That would be amazing! Now a bit more about you. As an artist, which other artists inspire you the most? Growing up, my biggest inspirations were guys like Jim Lee, Marc Silvestri, David Finch, Michael Turner and Joe Madiuera. My tastes in art have since grown to include artists that have varying styles such as Humberto Ramos, Sean Murphy, Khary Randolph, Jay Fosgitt and Seth Damoose. What are the project(s) you are most proud of to date in your career? “Holliston” is definitely at the top of the list. Seeing it go from concept to finished pages has been quite the experience. Now, I’ve worked on a quite a few things over the last few years, but this one definitely has the most time and work put into it. So, when I was finished with the pages, it was a very bittersweet feeling. I was extremely relieved to be finished, and on time lol. But it was also what I lived and breathed for 3 months. Hopefully I get a chance to work with these “characters” and the Holliston universe some more. Have you always been a horror fan? I remember watching horror movies as far back as I can remember. I didn’t think my parents were huge horror fans, but now that I look back, it seems like they were always renting them. I remember one Christmas morning, I got up very early, probably to scope out the presents before everyone else got up, and my Dad was already up, watching Dream Warriors (which is now one of my favorite movies), and I stayed up and watched it with him. One of the films that always stuck in my head, and this was long before I ever saw it, was Rawhead Rex. I remember going to the gas station/video store down the street from my childhood home, and just being drawn to the horror section. I didn’t actually see the film until many years later, but Rawhead Rex in particular, always stood out to me for some reason. Another one that stands out in my memory is Hellraiser III. That’s the only film I remember my parents making me leave the room for. Luckily for me, my bedroom was across the living room from the tv, and there was a small hole in the door from a nail or something, so I was still able to watch it lol. What are your top 5 favorite horror films of all time? Halloween and Halloween II (I count those as one), A Nightmare on Elm Street 3: Dream Warriors, Friday the 13th Part 4, Evil Dead II and Return of the Living Dead. Great choices! If you could be a part of turning any other film or television property into a comic, what would it be and why? I would love to possibly work on a Friday the 13th or Halloween comic book at some point. Also, if I got a chance to work on any more of Adam Green’s properties, doing a Hatchet comic would be amazing. 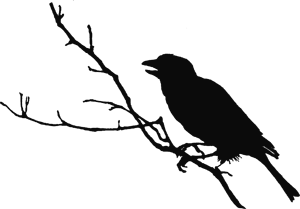 Is there anything else you’d like to add about “Holliston: Friendship is Tragic” or any other projects you’re working on? 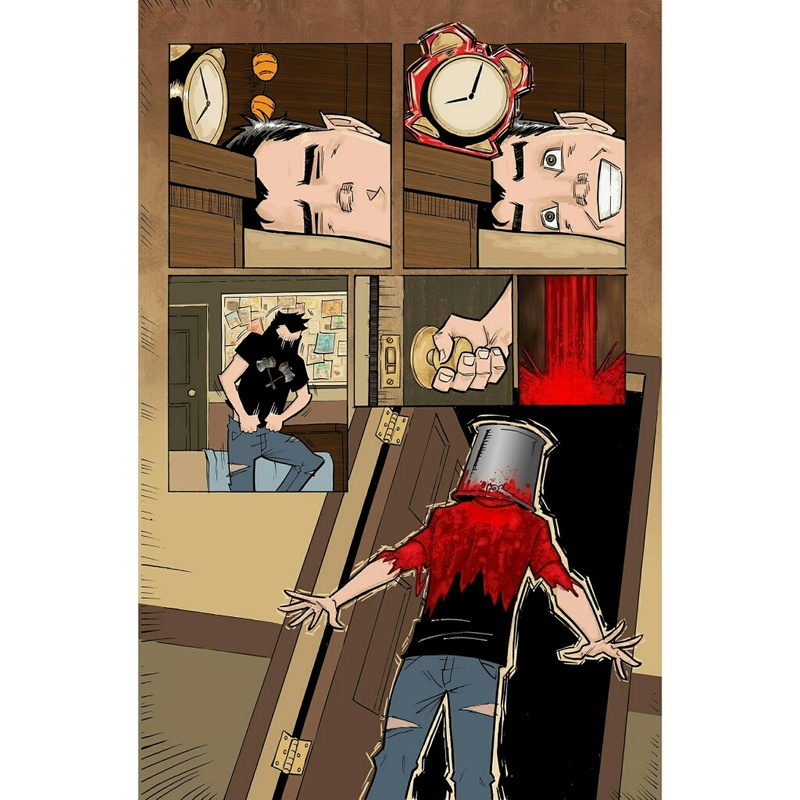 I guess the only thing to add as far as “Holliston: Friendship is Tragic” is that I really hope Adam, Joe, Laura, Corri and all of the fans enjoy the book as much as I enjoyed helping to create it. And some of my upcoming projects to keep an eye out for are “Wild Bullets volume 2, 13 Little Hells” (A horror anthology from Caliber Comics), “Michigan Comics Collective Vol. 2”, upcoming issues of “Up the River”, and a few special projects that are in the works right now through Source Point Press. Thank you so much, Stephen! This was amazing. How can fans connect with you, follow your work, and buy prints and/or commission artwork? Fans can find me on Facebook at Steveshararartandillustration, Instagram @steephdraws, Twitter @StephenSharar and on my website at steephdraws.com. 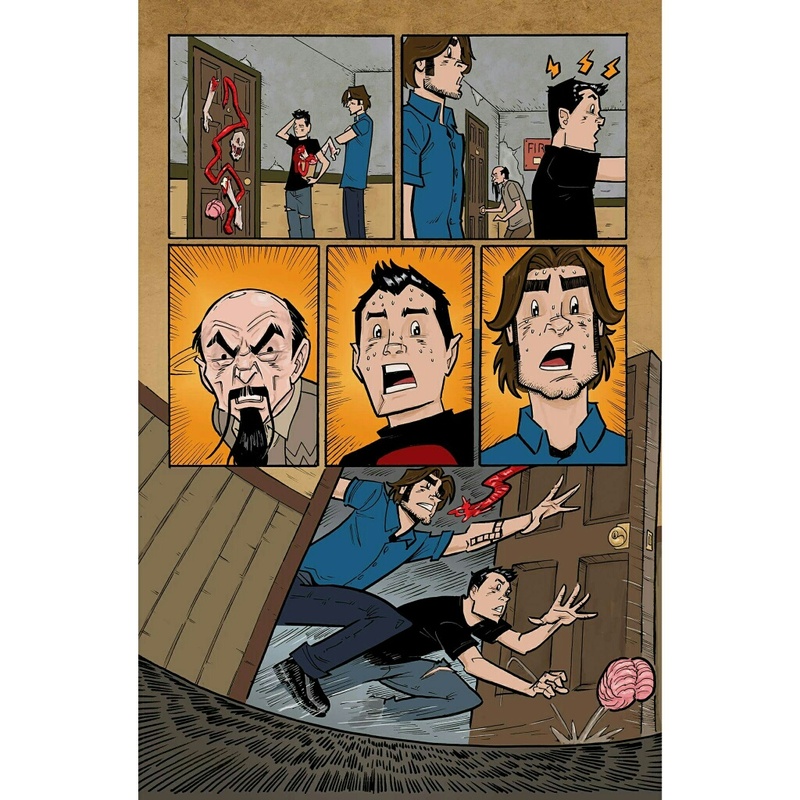 You can PRE-ORDER “Holliston: Friendship is Tragic” now directly from Source Point Press. 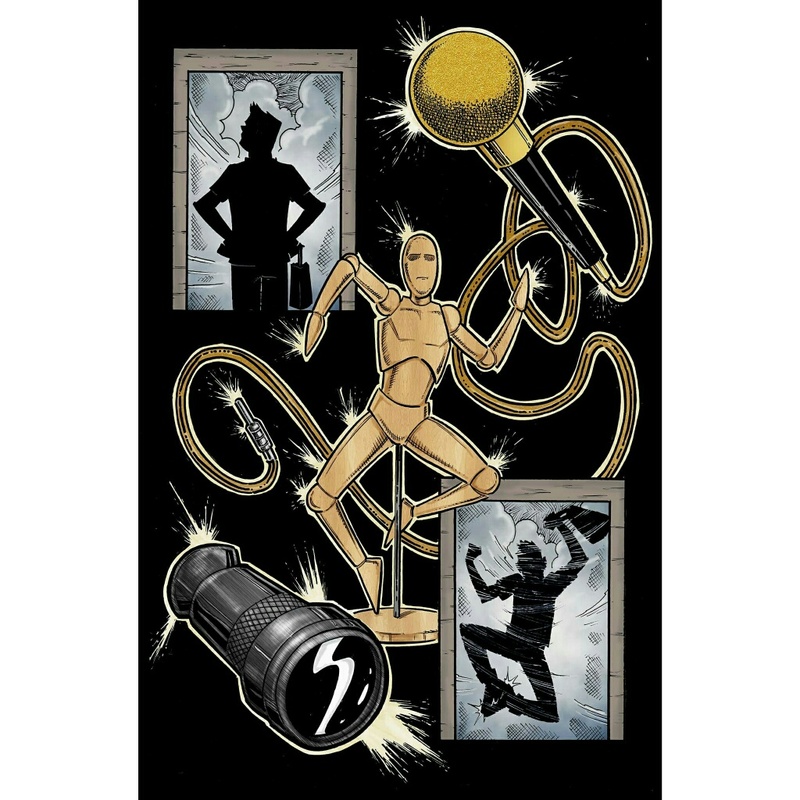 Order just the comic or the bonus bundle that includes an 8×10 Holliston art print signed by the graphic novel’s creative team (Greg Wright, Stephen Sharar, Joshua Werner, Travis McIntire). The bundle also comes with a 5×7 original head sketch of a Holliston character drawn by artist Stephen Sharar. Killer Stuff: Pitchfork Gets Comic Booked! I am really looking forward to getting my hands on this one.